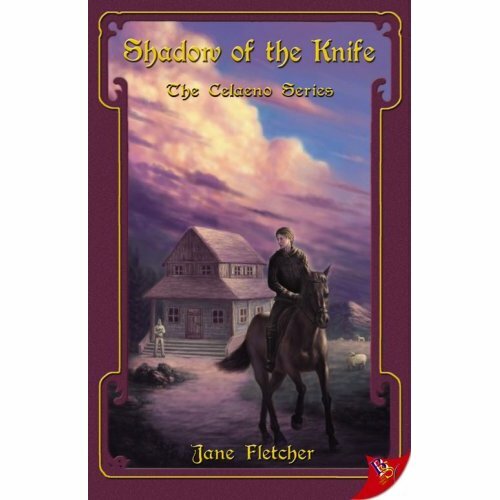 Part of her Celaeno Series, Jane Fletcher's Shadow of the Knife focuses on a young Militia member, Ellen Mittal, as investigations into stolen sheep and a brutal gang bring her closer to a woman who may turn out to be someone she shouldn't be falling for. Shadow of the Knife is the first in the series chronologically at this point in time, but was written after several previous books and doesn't necessarily need to be read first, according to the author's website, as the series can be read as standalone novels. Well-written, the plot of Shadow of the Knife is interesting to follow and keeps the pages turning from beginning to end -- however, it's not a happy romantic story. There's a lot more death, violence, upsetting scenes and uncertainty than certain happiness or romance, although there are moments that can be seen that way and numerous relationships between women are shown, including happier ones. In fact, the setting exclusively contains women and mentions 'birth mothers' and 'gene mothers'. A blurb and the first chapter to read online can be found here, as well as links to where to buy the book. Jane Fletcher won an Alice B Award in 2009.